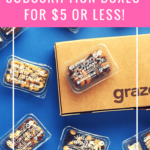 Check out the latest Homemade Coupon on My Subscription Addiction! Two Days Only! Homemade Coupon – 30% Off For Life! Homemade Coupon – 20% Off Any Length Subscription!